My boyfriend, who is a poker player, took these to the Bellagio for lunch, and apparently many players were intrigued. He had a few of the players try some, and it was a huge hit! It's always flattering when a bunch of guys enjoy my healthy dishes. It's at that point that I know I have hit a home run. 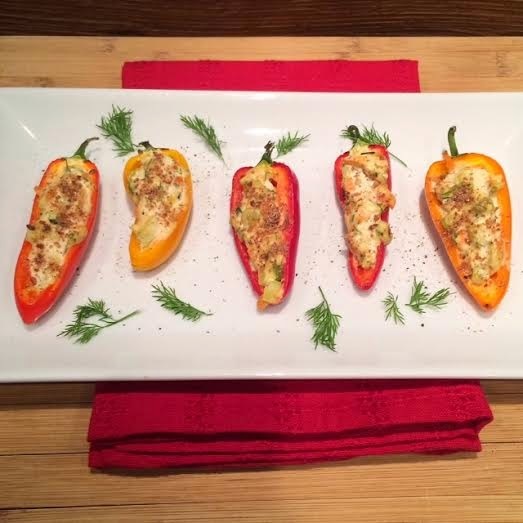 I personally really enjoyed those mini stuffed peppers as well. You see, I have a thing for dill. I find it's unique flavor to be so wonderful. It's definitely one of my favorite herbs. However, it doesn't work with every dish as it is so distinct in taste. But when it does, it brings that dish to a whole new level. It was perfect for this recipe as it mingled so nicely with the creaminess of the cashew cheese and the veggies. I will definitely be making it again in the very near future! This is another easy raw food recipe. I did use the dehydrator for this dish, but if you don't have one, you can skip that step, and it will still taste great. 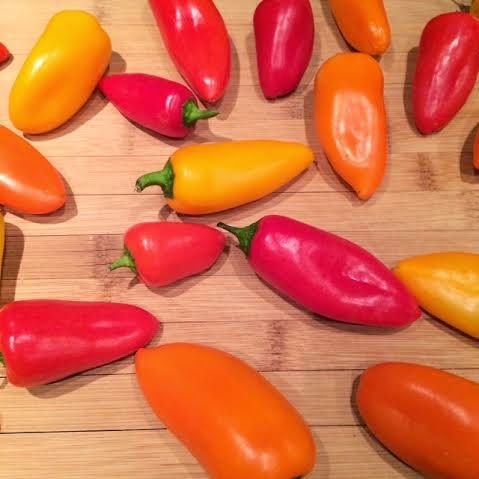 I just find that the dehydrator makes the texture even richer, and it also warms the stuffed mini sweet peppers up a little bit, which is a nice touch. But the recipe works just fine without it. To make the cashew cream cheese using a high speed blender, simply put the cashews, the lemon juice, the garlic, the nutritional yeast, and the water together, and blend until extremely smooth. Transfer to a bowl, and add the green onions, dill, carrot, celery, and zucchini. Season with sea salt and pepper, and blend well with a spoon or spatula. 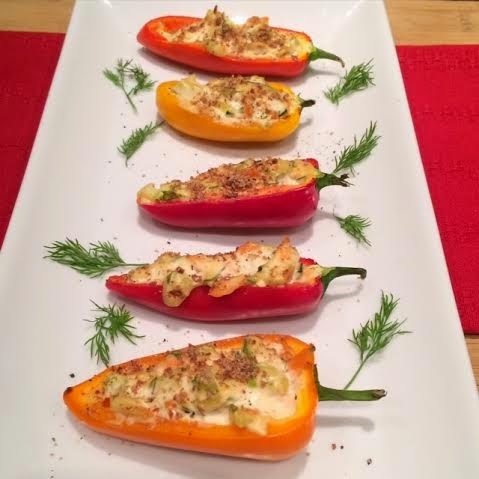 Fill the mini sweet pepper halves with the cream cheese mixture. 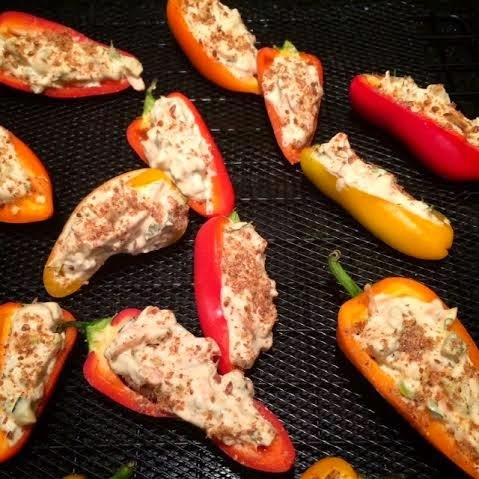 Sprinkle a little bit of flax seeds on top of each stuffed mini pepper, and place them on a dehydrator rack, cream cheese facing up. Dehydrate for 1 hour at 110 F.